As the go-to event planners for Philly’s hottest businesses, it’s no surprise that the popular new beauty services app, ManeStreem, contacted us to help them organize their upcoming summer tour. ManeStreem is one of the hottest up-and-coming health, beauty and wellness-based apps out there today. The first-of-its-kind service is similar to Uber in that it allows independent beauty industry professionals and potential clients who are nearby one another to get in touch. When a ManeStreem user logs on to the app, they can see a map that shows a variety of makeup artists, hair stylists, cosmetologists, photographers, estheticians, spray tan artists, etc. who are available to travel to that user’s home, hotel or workplace to provide them with the relative requested service. MainStreem is going on tour throughout the Jersey shoreline this summer, so they came to us for help with planning the extensive endeavor. We’re glad to be assisting them with putting the tour together, and we know they can count on us to give the whole thing that extra Metrospect flare! 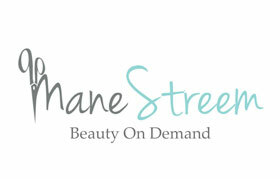 Right now, we’re working on acquiring the PERFECT venues for MainStreem’s summer tour. Interested candidates who own stunning spaces on the shoreline are encouraged to touch base. Details can be found below. All in all, we’re excited to be working with ManeStreem, and we look forward to putting a tour together that will be a smash hit! Do you want to organize a stunning event? Get in touch today to find out about how we can help you. We even offer dj services in Philadelphia. Talk to you soon, and see you on the shore this July!